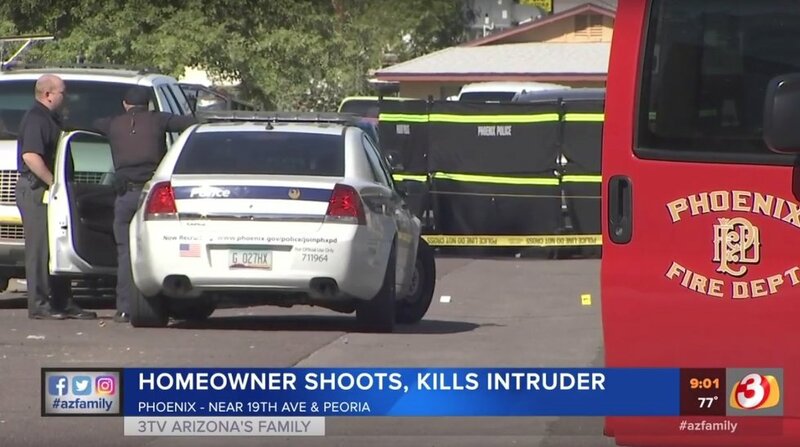 A homeowner was outside his Phoenix residence after two men allegedly tried a break-in early Saturday morning — and he issued a bold warning to crooks who might attempt something similar in the future. "If they come in, better come in ready," the man who wouldn't give his name told AZfamily. Phoenix police said two men tried to enter the house just after 1 a.m. when the homeowner shot them both, the outlet reported. One of the men, identified as 34-year-old Michael Ahumada, was killed, AZfamily reported. The other man, 33, was taken to a hospital where he's listed in critical but stable condition, the outlet said. No arrests have been made, AZfamily said, and it isn't clear if the homeowner knew the men or if he will face charges.